First shop update of 2017! Are you ready? 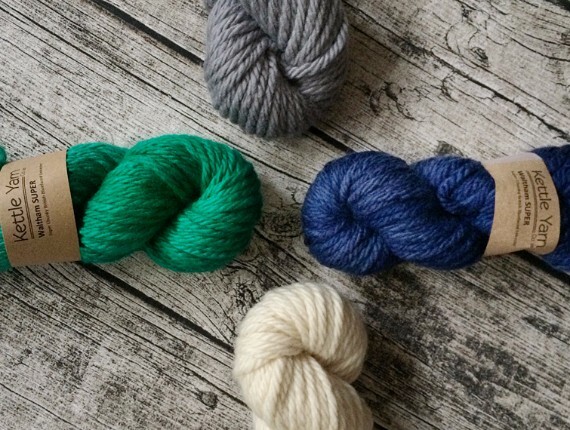 - Kettle Yarn Co.
First shop update of 2017! Are you ready? New this week is bright green Spruce in the Waltham Super chunky yarn. 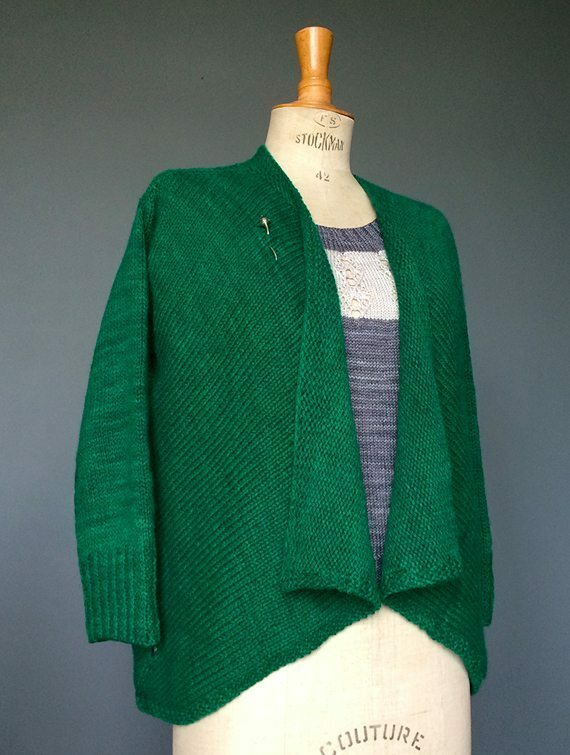 Nearly impossible to photograph and get the vibrance of this green right, the hue shows best in the pics from my Angelus Novus cardi in the Aran weight you’ve seen before. It is a bright, deep green. The aran weight is also back in stock. Here are two adorable makes by lovely Laura at Freckles and Fire in Tumbridge Wells, who is carrying some of this yarn. She hooked up these wristwarmers for herself and her daughter in less than a half hour! Isn’t that amazing? Talk about instant gratification! The hues shown in the above photo are the only ones left in the shop and when these are gone they might be gone forever, so if you need instant warmth, order now. Thanks to everyone who has helped me out by filling in the survey I created before the holidays. It has been so insightful and I hope to put some of your suggestions into play asap. It has been fantastic reading all your answers and preferences and I can’t thank you enough. 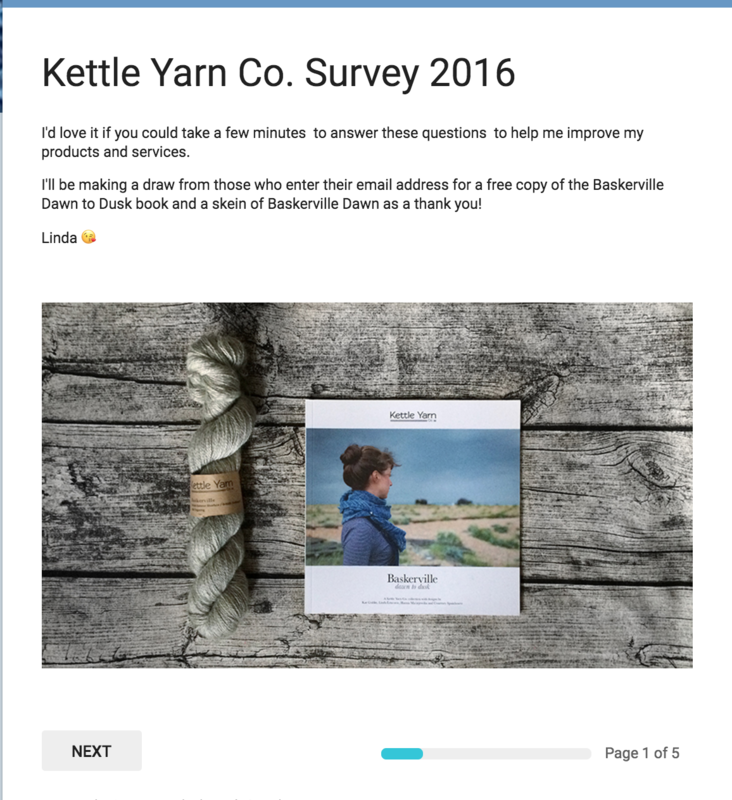 If you’ve not yet weighed in, you still have a bit of time to enter the draw by taking part and entering your email address at the end of the survey for a free copy of the Baskerville Dawn to Dusk book and a skein of Baskerville Dawn. You can now select by blend and weight! Huge thank you to the person who suggested this. I’d been trying to get my head around how to make this clearer and it was so obvious in the end! Sometimes you just need an outside eye, don’t you? It can be so limiting working in a vacuum! 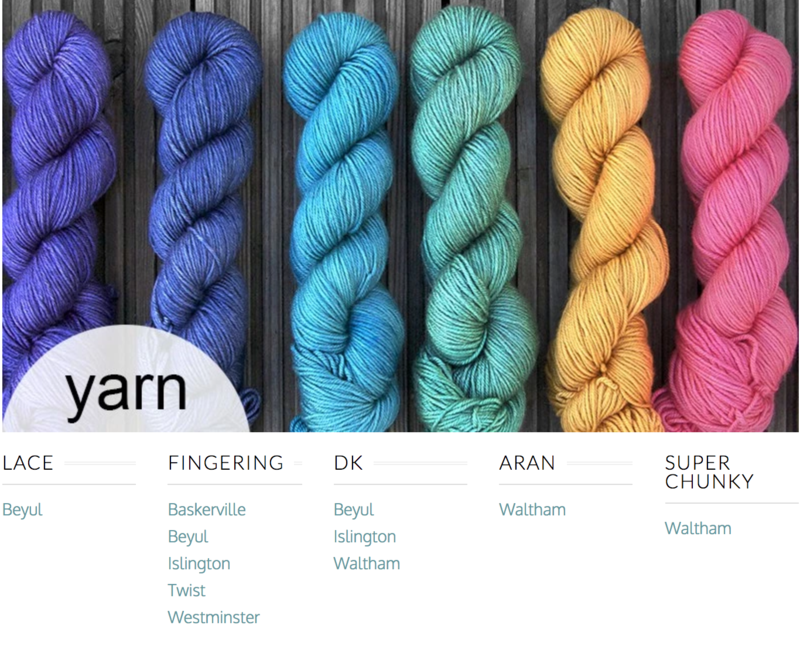 I am starting my dyeing schedule next week for upcoming Unravel in February and Edinburgh Yarn Festival in March! I have some exciting new hues planned and more surprises coming up so stay tuned and make sure you sign up to the Kettle Krew mailing list for more impromptu goodness like the recent avocado-dyed Baskerville, which sold out within minutes! 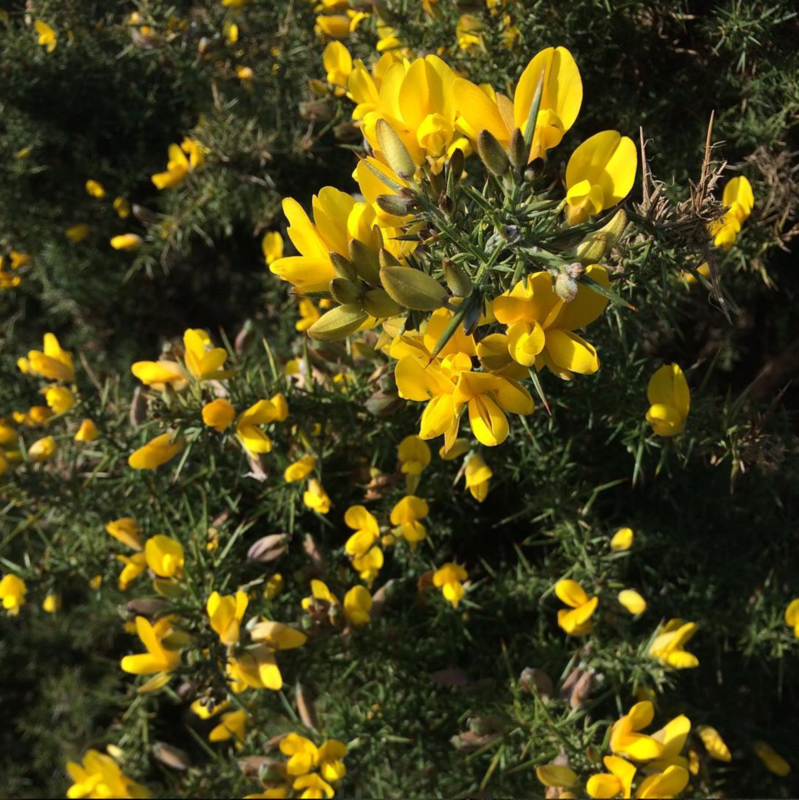 I am hoping to get out and pick some gorse blossoms soon. Here’s to a year of making! Happy creating all!